As technology has evolved with continuous developments and easily shareable knowledge in various fields, there is a sheer competition online as information is free and can be accessed easily. That's the reason most of the newbies face a stiff competition while they create online content and mostly get lesser traffic on their sites unless they plan for a solid marketing schemes. So how to pop up and be seen by those thousand of visitors. Of course original and quality content. 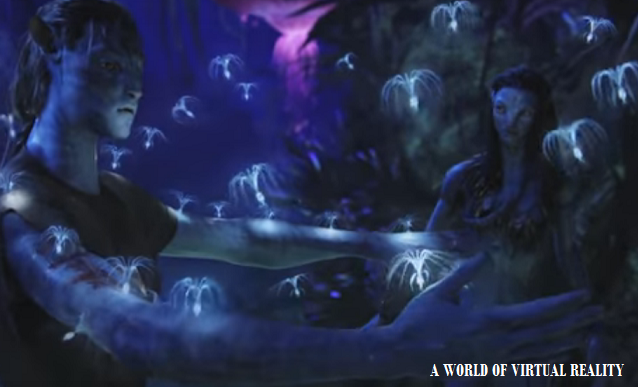 But who will see it in the current online jungle? Targeting set of right keywords is among the best answers. Some SEO study is sufficient to get noticed by the search engines and hence create healthy traffic on your website. Keyword Research is one of the essential input. Google Keyword Planner will surely give you better advice but not always as competition is higher. What about other good options? Let's discuss a vast potential of Reddit for free Keyword Analysis. If you study late, all your content will be un-noticed and left behind at least on the selling prospectives. Because similar topics are already on the top tier websites and by the time your site gets some popularity, either the topic becomes old or an obsolete. 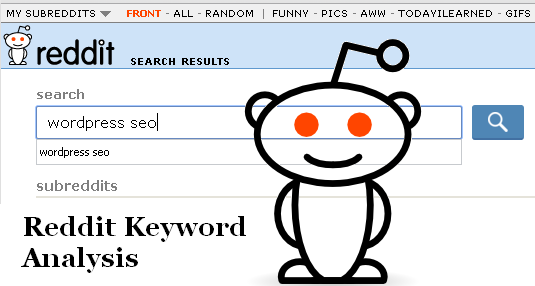 So, lets starts with Reddit as a free source to your advanced keyword planning. Why is Reddit a good resource? Why? It is the mostly discussed news aggregator in the world. Information propagates way faster in Reddit than social networks. With a little study and right approach towards how things work on Reddit, you can use it to explore new and competitive keywords/topics to promote on your website again with relevant content. Become a legitimate member as "subreddit" first. Looking for new Ideas on Reddit? Marketing on Reddit as a free member will take massive time and cost. Without it you won't be able to expect results. Rather becoming a subreddits is of a great help. Subreddits are small communities which are based on a particular topic where subscribers can participate in the communication and sharing. For every potential topic, there is a Subreddit. 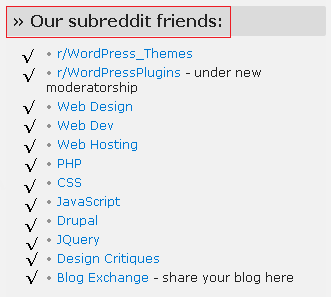 Your main task in this is to find the subreddits suitable to your site's niche. Then you can easily follow "related subreddit" link to drill deep further. You can also use redditlist.com tool to search more specific queries. By screening subreddits this way, you will be able to land up in specific topics and related information. You will not only get the rare questions (yet to be answered) but also a pool of interest around it. You can start creating topics on your website based on this search. If you sort for "most gilded" topics, you will be able to see which posts are popular and deeply discussed with more numbers of Reddit Gold members. Searching content with "Controversial" will give you posts with most back-and-forth comments. As technology related blogs and websites are developing with time, the flow of information has become way smoother and difficult for newbies to recreate it. If you wish to stand good in the market, you need a better content and topics which are searchable by a pool of visitors. Choosing right keywords is another important part for marketers. There are tools currently available to find unique keyword sets upon which we can develop a new content. This is as simple as searching for right topics with unique keywords which are more SEO friendly and again less discussed yet. You can surely take those highly appreciated links to your Google Keyword Planner to look for more relevant keywords attached to it. There is always a niche of sites in every field which are highly used all over but less known to recent marketers. Using Reddit to know them is a great way to see for current trend and to focus upon a next content to create. 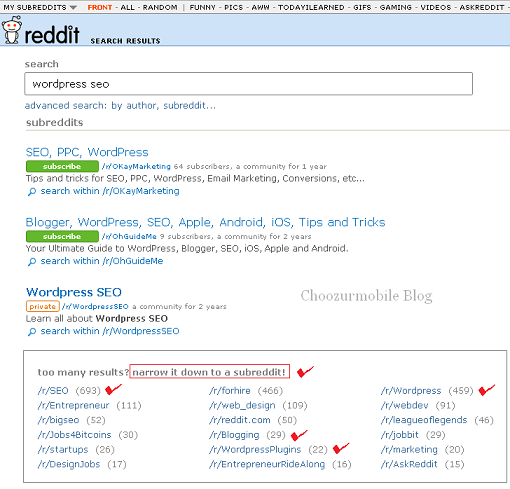 Reddit will help you sort the relevant sites for the topic you are researching, where Google may misguide you in terms of PR flow and high ranked other non-related or less relevant sites. The relevance of topics can also be seen in Subreddit Wiki. Reddit is an undoubtedly a real gold mind for keyword analysis and to discover an untapped resource. Try to utilize its potential for keyword analysis and content marketing on Reddit as it will surely give you at least 100% results.